The retina of the eye has on its surface two types of specialized nerve cells: cones and rods. While cones are activated in bright light, rods work better in dim light. The information captured by these cells is transported by nerves to the visual processing centers in the brain and pieced together into coherent images. In most vertebrates, a brain region called the optic tectum processes visual information, explains Prof. Economo. However, "it is unclear how it should change to maximize effectiveness of low-light vision," he adds. To find out, the research team compared the sizes of optic tecta within the brains of fishes that are active during the day and those active at night. 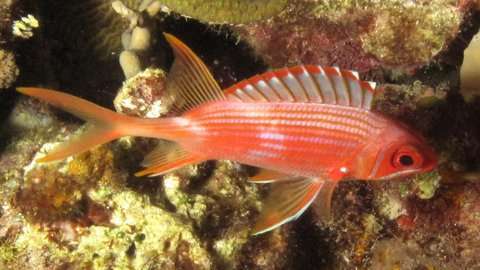 More than a hundred fishes from nearly 66 different species were caught from reefs around Hawaii and North Carolina, USA. This catch comprised of 44 day-active species and 16 nocturnal species with a wide range of food habits: some ate other fish, others fed on microscopic plankton, and still others were bottom dwelling scavengers. Once caught, the fishes were photographed and their heads preserved in formalin. 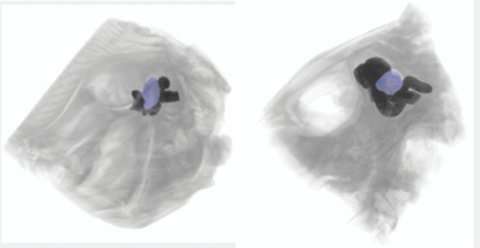 Later in the lab, the researchers measured the size of each fish's eye and lens, then scanned the animals' preserved brains using micro CT scanners. The study also suggests that behavioral traits like the ability of some fishes to camouflage can influence the size of the optic tecta. Among the 66 species of fishes that the scientists sampled, the peacock flounder (Bothus mancus) was found to have the largest optic tectum amongst all. 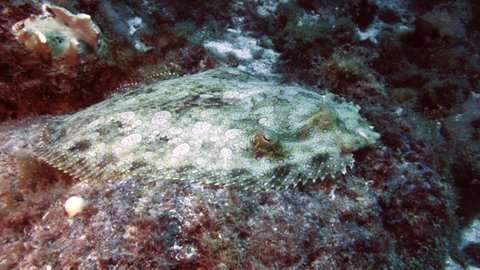 Peacock flounders dwell on sandy floors of reefs and are active during the day, though they prefer to hunt at night. Like chameleons, they are masters of camouflage, and can mimic their surroundings to blend in. This trait, according to the scientists, may explain why peacock flounders possess such highly-developed optic tecta. "Their visual centers may be important for adopting the correct camouflage, but they are also important for detecting predator movements in both bright and dim light," says Dr. Iglesias.